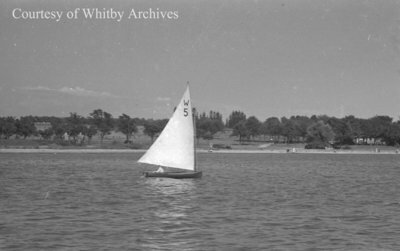 Black and white negative of a sailboat on Lake Ontario. The shore can be seen in the background. W5 is written on the sail. Sailboat, c.1939, Marjorie Ruddy. Whitby Archives A2013_040_649B.